Mr. Gabriel Marchi Molina has been a Professional Engineer with Amphion Analytical Engineering, P.A. since 2012. Over the years, Mr. Molina has completed a wide variety of engineering and technical projects including mechanical integrity, finite element analysis (FEA), and structural engineering. Mr. Molina has extensive experience in providing structural design for new or retrofit projects, structural analysis of existing components, finite element analysis (FEA), drafting and modeling, condition assessments, rehabilitation design for steel and concrete, construction and environmental management, and building envelope design. He specializes in 3-D modeling and FEA using SolidWorks and structural analysis using RISA 3-D.
Mr. Molina’s experience in mechanical integrity include evaluations to determine conditions relating to the fitness of tanks, process vessels, pressure vessels, and piping including corrosion, material defects, and inadequate construction. He is also skilled in various nondestructive testing methods, including ultrasonic thickness testing, liquid penetrant, shear wave, vacuum box, and magnetic particle. Mr. Molina is a licensed, professional engineer in North Carolina and Minnesota. 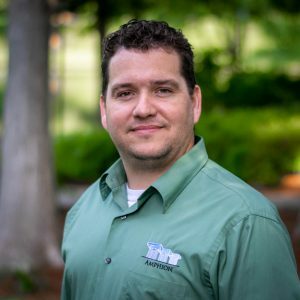 He is also certified as an ASNT Level II Technician in magnetic particle testing (MT), liquid penetrant testing (PT), and ultrasonic thickness testing (UT) methods.